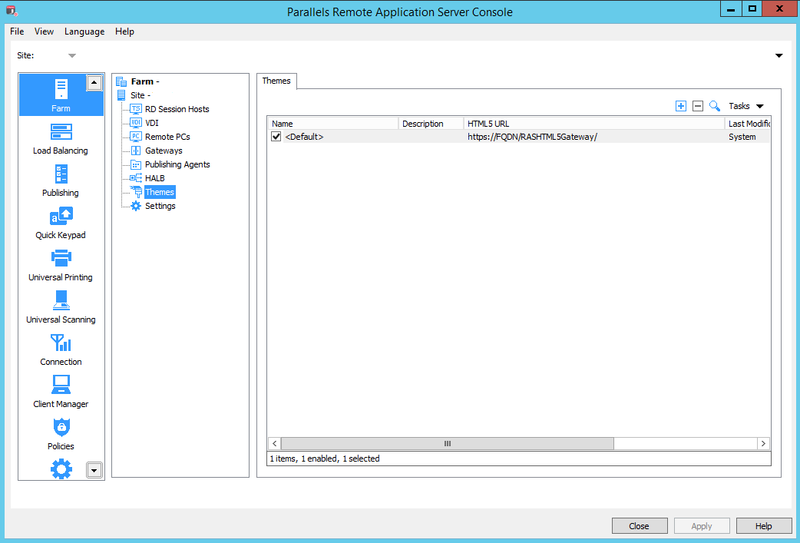 In the Parallels RAS Console, navigate to Farm / Site / Themes . Click Tasks > New Theme (or click the [+] icon) to create a new theme. Double-click an existing theme (or right-click it and choose Properties). 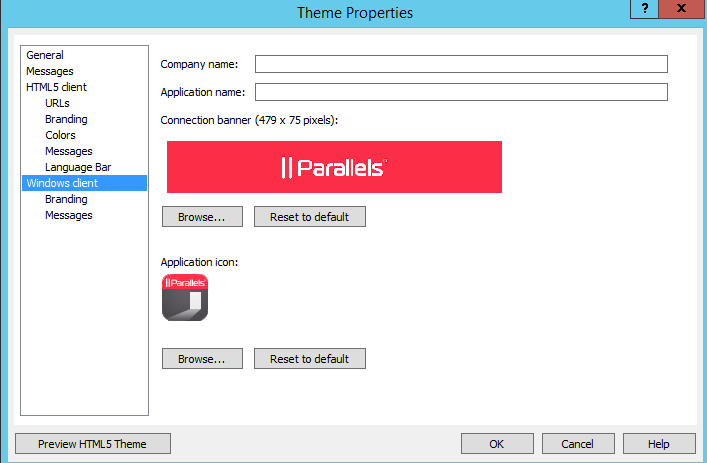 The Theme Properties dialog opens. 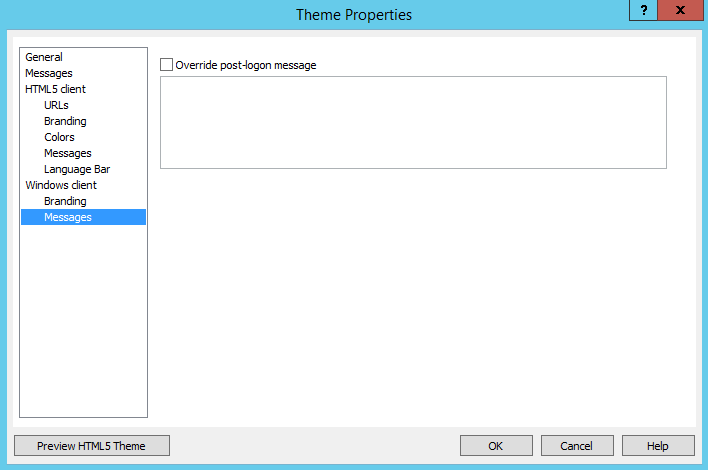 Use the dialog to create a new or modify an existing theme. Company name: Used to create the Start menu hierarchy: Start \ Company Name \ App Name. Application name: Displayed in the app caption and the Start menu entry name. Connection banner: Displayed when a connection is being established. Application icon: The application icon used for the Start menu and by the main app window. To override the default post-logon message, select the Override post-logon message option and enter a message.